Title: Reckon We Should Turn Around? Comments: Looks like rough weather ahead. But I ask you: how serendipitous was it for me to be driving down the ONE ROAD that had a thunderstorm at the end of it? 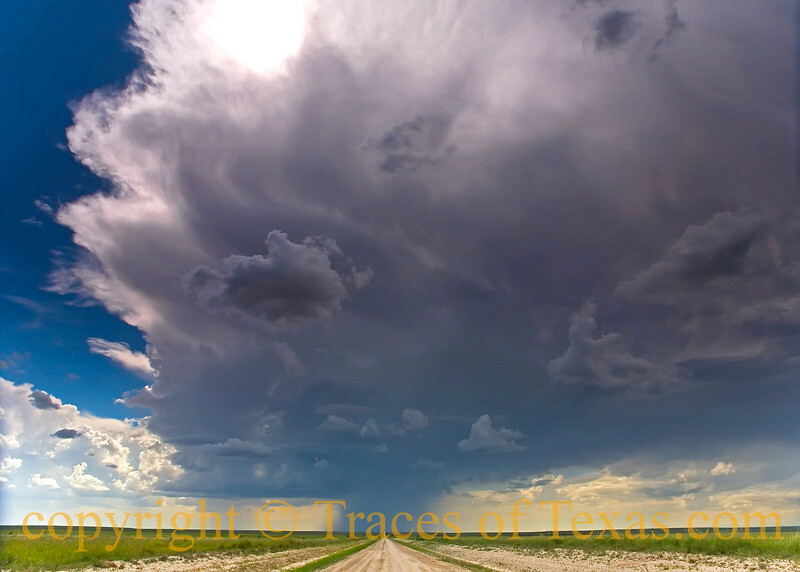 Location: A random road in the Texas panhandle.